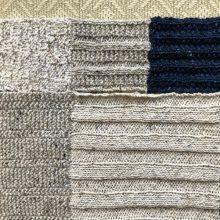 The Fringe and Friends Log Cabin Knitalong continues with a torrent of new sights to see at Instagram #fringeandfriendslogalong. Eye-popping projects. Crossers of the finish line. Joyous blanketry. 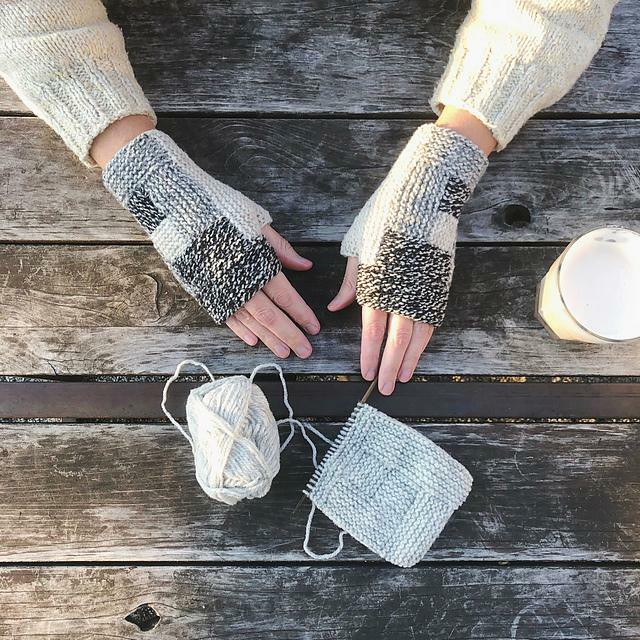 Before anything else, I encourage you to scamper over to Karen Templer’s Land of Miraculous Handknits and grab a copy of her free Log Cabin Mitts pattern. 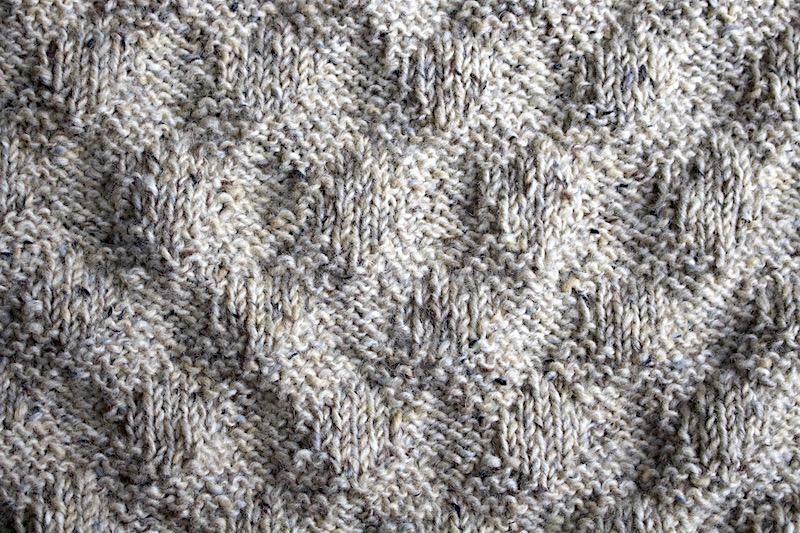 It is one of those knitterly phenomena that comes but rarely: a superfast, superaddicting pattern. Karen has already made a dozen pairs. OK that is an exaggeration, but she’s on a tear. 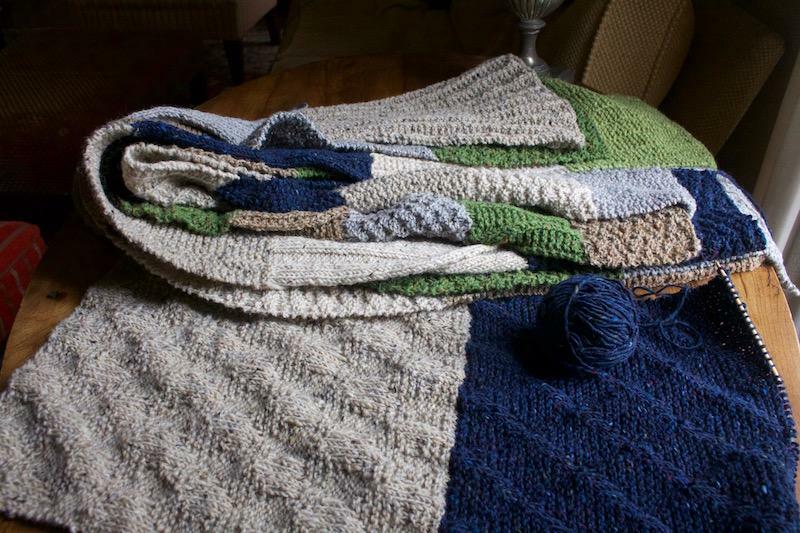 Pro tip on finishing a blanket: be sure to move the goalposts at some point. When you delete entire swaths of the schematic, you get to the finish line a lot sooner. This will end up being a 60″ x 60″ throw, not the original 90″ x 60″ blanket I’d originally planned. Only two squares to go (now that I’ve deleted 22 squares from the plan). Maybe I will grieve not having a seven-and-a-half-foot-long blanket, as I try to find warmth under this meager five-foot-square throw. Maybe my lanky family will have to fold themselves into tiny pretzels to find warmth. I am OK with this. I mean, maybe now I will finish this thing within the next decade. The final four squares have proved to be harder than the rest. For one thing, they’re each 15″ square, which feels a lot bigger than, say, a 10″ square, or a 5″ square. They’re harder because I’ve picked sequences for these last big squares that will make the most of the larger canvas—I was aiming for bigger, more complex textures. Little did I know how much harder they would be. Pro tip: do not knit tricky sequences when watching the public television series Victoria. The sequence in this square is k4, *p5, k6, repeat from * to end of row. 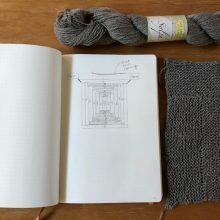 It’s worked in the serpentine method of sequence knitting, which is the thing where you continue the pattern around the edge from front side to back side. It’s harder than it sounds, people—imagine you are embroiled in, say, an episode of Victoria where the dreamy Rufus Sewell I mean Lord Melbourne is covered in leeches. I promise, you will knit 5 and purl 6 or knit 6 and purl 5 or pfaff it up one way or the other. 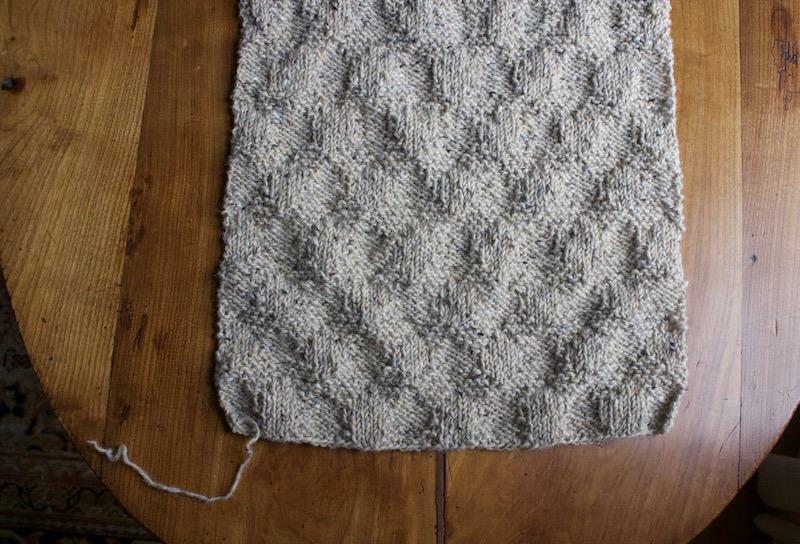 I knit this square at least twice, if you add up all the go-backs and do-overs. Square 2 in this strip—k9, p2, serpentine—is no walk in the Windsor woods, either. Imagine Lord Melbourne is limping into the fancy dress ball dressed in his Dante costume, and you don’t even know whether he’s going to make it through the waltz with his beloved queen. You’ll knit 7, purl 2, knit 8, purl 3, whatever. SOB! 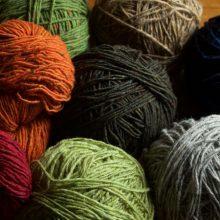 In closing, here are two photos that show the layers of color that turn up in an average skein of Tahki Donegal Tweed. It has dozens of shades in it that are not Cream. I can burn a day gazing at a thing like this. It’s just so fascinating, this Cream. And this is Midnight Blue. Which features a jillion fleckles from all over the tweedy rainbow. Yet remains steadfastly Midnight Blue even with all that color in there. I really am looking forward to sewing up these strips. It’s going to test my skills most severely to get all these sequences to line up in something resembling squares. Stay tuned. The last two squares are absolutely stunning. Worth it! Yes, I really like that blue diamond pattern. The description of the serpentine process makes me want to investigate sequence knitting. Do it! And if you stumble upon the chance to take a class with Cecelia (Campochiaro), do that too! She’s fabulous and sequence knitting is fascinating and deeply satisfying. And then if you rewatch ‘John Adams’ on Amazon Prime, you will be thrown by dreamy, Zen series Rufus playing Alexander Hamilton. How’s a gal supposed to hold her needles with such distractions? 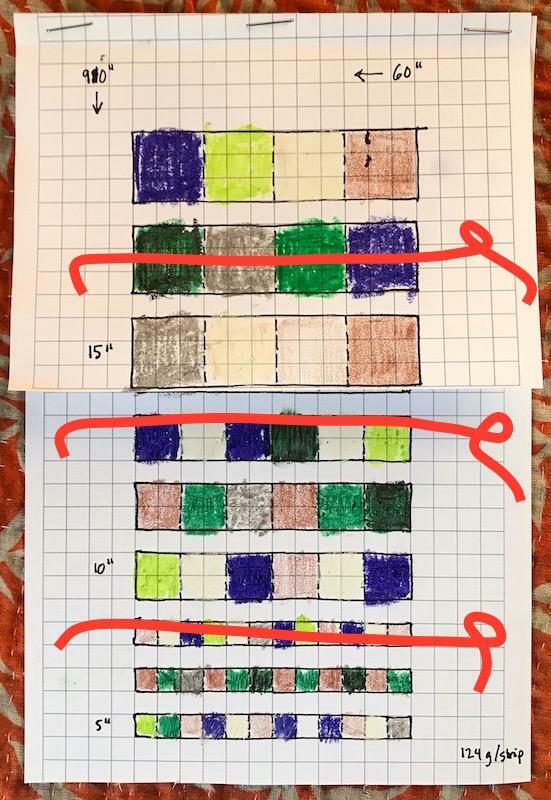 I used sequence squares in my Scarfy Thing, after your introduction of yours. But mine were small and manageable. Your last two are abosolutely da bomb! I’m sure Lord M/Rufus wishes he had your lovely blanket in all those invalid scenes! The formal beauty of a blanket of squares being itself a big square is Dantesque (maybe). Rufus and I think you were meant to move the goalpost, Ann. Beautiful! I love the cream one in particular! 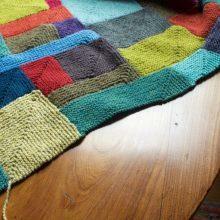 Another hint for finishing a blanket: be prepared to spend 25 years on it. Yup, actually finished a UFO that was originally begun at least 25 years before. Have resolved not to start any more blankets because at this point I won’t live long enough. Your blanket/throw/lovie will be a treasure. And those tweedy colors! Oh, I could also stare at them all day long. They really are a work of art themselves. 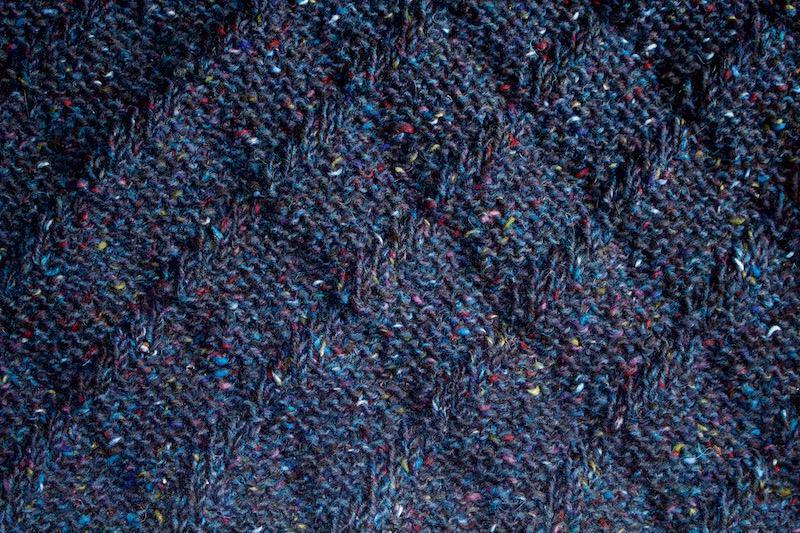 I’m currently working with BT Shelter and Loft in their Meteorite color way, and it’s like the dark blue of yours Ann with so many multi-color flecks. Wonder! Am ordering the book . 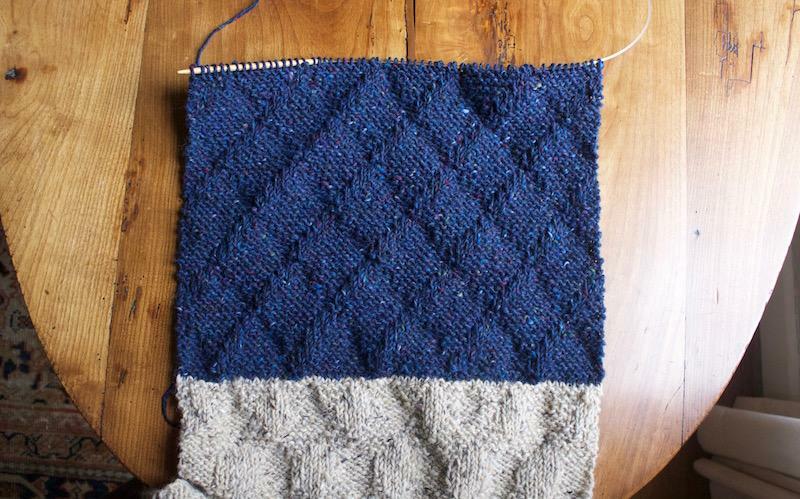 I’ve become so fascinated by sequence knitting . I’m loving the word fleckles. And pfaff is good too. I’m afraid the lace in my baby dress also suffered as I was transfixed by the fading Lord M. I had to rip the next morning. This made me laugh and I needed that today. So thank you. But I also find those sequences very engaging and it’s on my “fun things to try” list! There should be a spin-series called Lord M! I would definitely watch it!! I. Want. That. Blue. Yarn. I’m afraid I don’t understand the fingerless mitts phenomenon. They would seem to be good for texting (the texting gloves I bought don’t work), but my fingers would be too cold. And I wouldn’t wear them indoors like Bob Cratchit. We have plenty of heat in our old-school NYC apartment. So I could more likely see making the mittens that have the top flap that pulls down. Anyone? Bueller? Bueller? I love my top flap mittens. I did the tops in helical stripes–one of the Year of Techniques. I don’t know why a person couldn’t pick up stitches across the back of one of those log cabin fingerless mitts and start log-cabining a flip top for it. You’d probably have to ad lib a thumb too… Sounds doable to me. BTW, I love my fingerless mitts too, both indoors and out. They’re the tops for holding been-in-the-parking-lot shopping cart handles and for wearing under my flip-top mittens when it’s colder than cold outside. In fact I just wore them that way when I was out snowshoeing in the park. Okay, you talked me into it. I’m on my way down to find some leftover yarns to make some log cabin mitts. I agree with you as I live in a seriously cold climate. But I have fudged the issue by buying a number of pairs of inexpensive stretchy gloves at H&M, and wearing them underneath. Once they are in place, they kid of stick together and can be taken on and off as one. Ann…I NEED the pattern for the serpentine squares!! They are intriguing…gotta try it. That blue is breathtaking. I am so impressed with your mean photo skillz!! That yarn is LUSCIOUS. As is Lord Melbourne. I love how you’ve moved your goalposts. I did that for this logalong, too. I’m making mitts instead of a blanket! Great timing. I love Pro Tip No 1 – I will be using it for my fringe and friends logalong blanket which could take over all my spare time if I’m not careful! Love knitting blankets. Garter Squish is a stashbuster, easy peasy to do watching Victoris! Also check out the young Rufus Sewell in “Cold Comfort Farm.” Also inspiration for fingerless mitts.